One of the most notable interior features of the Chrysler minivan is a large amount of cargo space. Fit everything inside the Pacifica with ease, so you can take everything you need along for the journey. This means you also get Chrysler's unique Stow 'n' Go technology. This means the second and third row of seats fold to accommodate whatever you need to stow and take on the go. 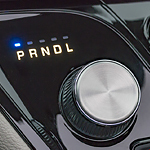 Inside the 2019 Pacifica, you will also find state-of-the-art noise cancellation technology. This means no matter what noises are going on in the outside world, you can expect a quiet ride inside of the Pacifica. Come down to our dealership and take a new Pacifica for a test drive today.